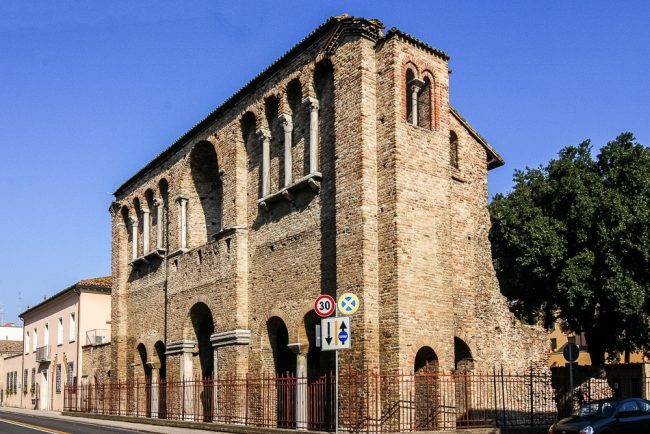 The building stands on the ancient complex of the palace of the king of the Goths Theodoric (454-526). 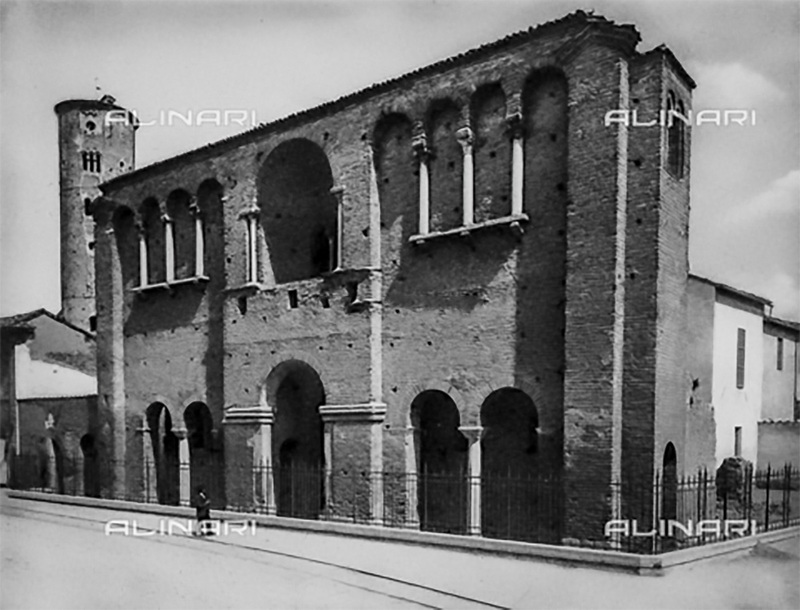 In origin, it must served as guard (6th-8th century) and then it was changed into a narthex in front of the church San Salvatore ad Calchi, which was destroyed at the beginning of the 16th century. The face brick facade presents an arched central opening surmounted by an ample niche, on the sides mullioned windows held up by marble columns. Inside there are interesting fragments of floor mosaics that were found in the area of the imperial palace of Theodoric.